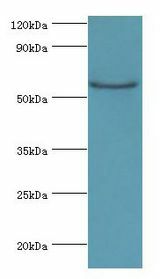 CstF-64 antibody LS-C377244 is an unconjugated rabbit polyclonal antibody to human CstF-64 (CSTF2). Validated for ELISA, IHC and WB. CSTF2 / CstF-64 antibody was raised against recombinant human Cleavage stimulation factor subunit 2 protein (aa1-180). 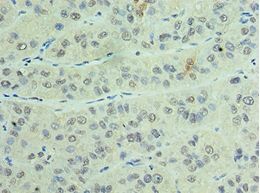 Immunohistochemistry of paraffin-embedded human liver cancer using antibody at 1:100 dilution. Western blot. All lanes: CSTF2 antibody at 6 ug/ml+Jurkat whole cell lysate. Secondary antibody: Goat polyclonal to rabbit at 1:10000 dilution. Predicted band size: 61 kDa. 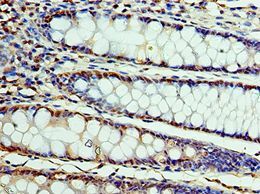 Observed band size: 61 kDa Immunohistochemistry.